AC-4 is Dolby's latest audio compression technology that provides improved bandwidth efficiency, enhanced features and a modern object-based format. 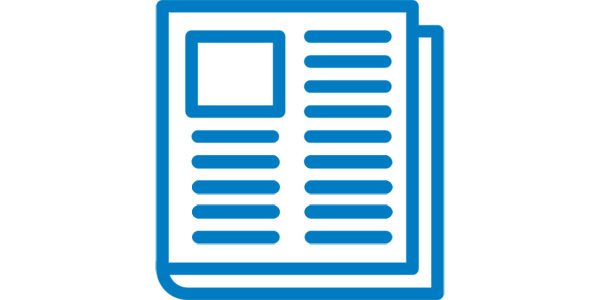 Traction in the market is increasing with implementations by several CE manufacturers, inclusion in broadcast standards (ATSC-3, DVB) and many AC-4 broadcast trials being conducted. 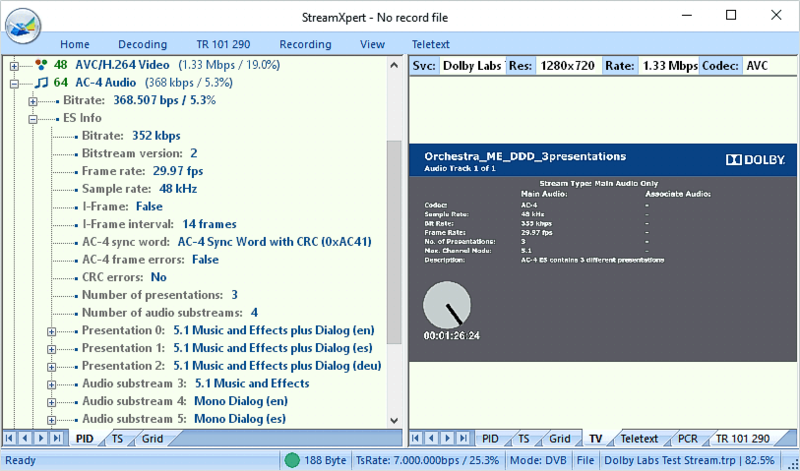 StreamXpert decodes AC-4 audio and shows associated metadata in a concise way, both for OTT and transport streams. Broadcasters can use it for confidence monitoring - checking that the audio actually decodes and that all parameters are configured properly. Equipment manufacturers can inspect and verify AC-4 audio and metadata in their product's output. Dolby AC-4 decoding and metadata analysis in StreamXpert. Dolby AC-4 uses object-based audio to efficiently carry components - music, sound effects and dialogs, possibly in multiple languages - in separate entities on the same PID. Users select a 'presentation', a particular combination of audio components, for listening in their preferred language or for changing between home/away announcers. Audio objects on the same PID are known as substreams. A presentation is a combination of substreams. The StreamXpert screenshot on the left shows an example of audio substreams and presentations. The dialog is available in English, Spanish and German, while 'music & effects' is in a seperate substream. When a user changes the presentation, the music & effects substream remains the same but it's combined with a dialog in a different language. This allows AC-4 to send base substreams with a higher bitrate, such as music, only once. With StreamXpert you can examine the details and listen to all presentations. DekTec has been working closely with Dolby for a long time, so that our tools are instrumented with optimal support for Dolby technologies. Not surprisingly, the decoding- and analysis implementation in StreamXpert is Dolby certified. StreamXpert is DekTec's signature transport-stream analyzer that is standard across the professional broadcast industry. We are constantly updating StreamXpert to keep it current with the latest stream formats. Users with a maintenance arrangement in place have free access to Dolby AC-4 analysis and decoding by upgrading to the latest version. You can now monitor an entire terrestrial or cable network using a single PCIe multi-receiver card. The new DTA-2139B houses twelve (!) receivers to capture any mix of cable (DVB-C, QAM-B/C) and terrestrial (DVB-T, DVB-T2, even ISDB-T) signals. All services in the twelve received transport streams can be simultaneously and continuously monitored in real time, with DekTec's Xpect Mosaic, with a 3rd party solution or with your own compliancy-checking application. DTA-2139B - Twelve cable/terrestrial receivers on a single PCIe card. The main application of the DTA-2139B is simultaneous monitoring of all the transport streams in a cable or terrestrial network. Streams can be monitored for compliancy, they can be recorded (compliance recording) or a mix of services can be decoded and put in a mosaic. Another application is receiving a bouquet of services and remultiplexing them on another network, e.g. receiving several DVB-T2 transport streams and transcoding them to IP, or remultiplex and modulate the received services on a local cable network. Other creative applications are conceivable, e.g. generating a large number of TS-over-IP services (e.g. for testing purposes) simply by receiving free-to-air DVB-T2 services. The DTA-2139B is the successor of the DTA-2139. Several improvements have been made using state-of-the-art technology and the latest generation tuner and demodulator chips. The loop-through output of the DTA-2139 has been dropped, leaving more power (=less noise) for the on-board receivers. Together, the combination of several small improvements yields a significant boost in the performance and functionality of the DTA-2139B. For developers, the product comes with our free and field-proven SDK (DTAPI). Applications have access to the complete transport stream from each of the twelve receivers. Additionally, each receiver provides lock status, RF level, MER and bit error rate. The DTA-2175 is a no-nonsense HD-SDI input and an HD-SDI output on a compact PCIe card, with two on-board relays for automatic failover support. 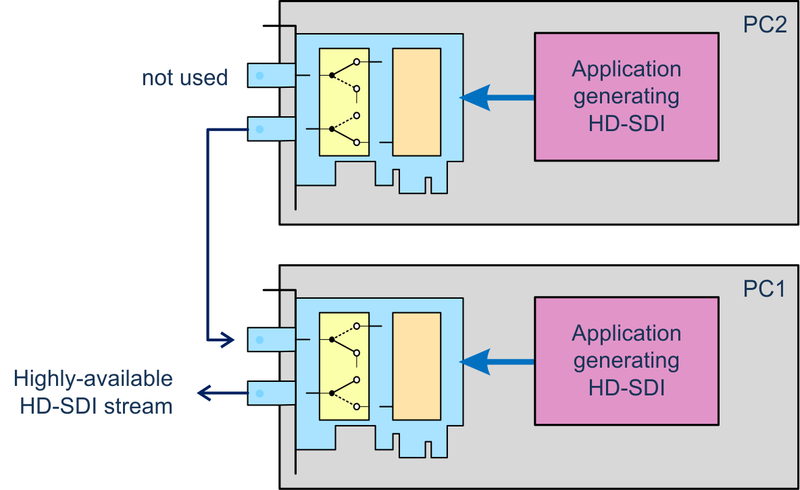 Typical applications of the DTA-2175 include SDI generation and/or capturing, and inline processing of SDI signals, e.g. inserting a logo or subtitling, embedding audio or adding ANC data packets. The new DTA-2175, a cute little PCIe card with HD-SDI/ASI input+output and relay bypass. Both the input and output port support ASI too. This enables mixed compressed/uncompressed applications like software-based encoders (SDI to ASI) and decoders (ASI to SDI). The DTA-2175 hardware supports 3G-SDI, but the current firmware of the DTA-2175 supports up to HD-SDI. Firmware support for 3G-SDI will be added later in 2019. A watchdog-controlled relay can automatically bypass the hardware upon a software- or hardware crash, and even upon a PC power failure. This allows you to create highly-available SDI (or ASI) generators. Both PCs run the same application. Normally, SDI output originates from PC1. If PC1 fails, the relay will automatically fail over to PC2, bypassing PC1. DekTec Matrix API® 2.0 enables you to create custom applications on top of the DTA-2175. This API implements all the low-level SDI details, making life much easier for application developers. Convenient Matrix-API features include directly working with audio- and video samples, pixel-format- and bit-width conversion, video scaling and more. The DTA-2175 is low-profile and extra short, fitting well in small server devices. It's the successor of the DTA-2145, our best-seller product for adding ASI I/O to servers. Stock is available. Please contact your DekTec representative for further information and quotations.